Each and every year, John Deere fans patiently wait for new product announcements to see what exciting features will benefit their operations next. This year, one product in particular saw updates that really stand out to farmers who are looking to step up their grain harvesting game – the 2016 John Deere S-Series Combine. There’s a lot to take in when it comes to the 2016 grain harvesting updates, which is why we wanted to share this video gallery so that you can see and hear for yourself. Enjoy! 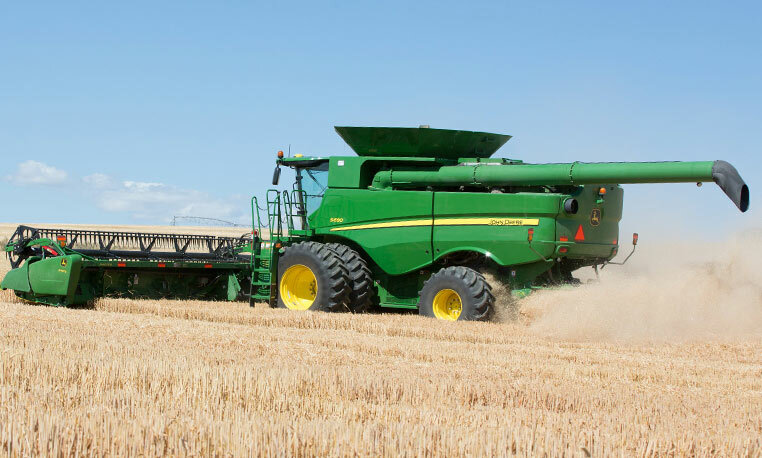 What’s new with 2016 John Deere combines? Well, to start, they feature increased performance and productivity. This powerful lineup includes the following models: the S650 with 300 hp, the S660 with 333 hp, the S670 with 392 hp, the S680 with 473 hp, the S690 with 543 hp. Last year, John Deere introduced the 645FD HydraFlex Draper with different reel fingers, shorter end divides and a wider standard feet section. In 2016, these features are now available on the rest of the HydraFlex family. Watch this video to learn about even more features and benefits in the 2016 John Deere combine line up! Your harvest season is just too valuable to accept typical benchmarks. To set new standards and maximize potential, you need the latest in grain harvesting performance – the 2016 John Deere S-Series Combine. Featured upgrades enable greater capacity, an enhanced header lineup and smarter solutions in and out of the cab. This video explains how 2016 John Deere combines can help you harvest your full potential this year! How did John Deere harvesting begin? They opened their first harvester works plant that would forever change the way farmers worked. From horse-drawn grain and corn binders to the self-propelled combine, and the high tech combines of today, the Deere journey continues. With farmers in mind, John Deere continues to design harvesting solutions that will meet and exceed customer expectations. Find out how the S-Series Combine can help you better perform in the demanding conditions that you are faced with every harvesting season. Hopefully this video gallery provided you with a better understanding of all that the 2016 John Deere combines have to offer. What 2016 updates are you most excited for? We’d love to hear in the comments section below!